A research paper is one of the most popular and typical academic assignments. It’s necessary to reveal in-depth knowledge and advanced writing skills. The task is really complex and the success is strongly dependent on the topic as well. Thus, some professors assign research papers on WordPress. WordPress is a unique tool that allows creating your own website. It contains multiple features, such as images, fonts, icons, logos and so on. Thus, every website owner can add uniqueness to his/her website. Assignments on this theme are actually interesting but may induce some difficulties as well. If you wish to avoid them, use our recommendations. Academic experts from a custom research paper writing service will guide you through every aspect mentioned on the list and will add something more. The selection of a topic is the first and very important step to a successful accomplishment of any piece of writing. WordPress theme may be reviewed in a variety of ways. You may simply enumerate the functionality and benefits of such free platforms. However, you would hardly win additional grades for the things that can be easily found by any user. Make your topic more specific. For example, make a comparison between educational and common WordPress platforms. Thus, you may compare Buntington to Author. Find the details about these platforms and make a clear division. Many inexperienced users will be grateful to learn the differences between these websites. It’s a relevant topic and you can develop success necessary to receive the highest grades. The next measure is to research the main purpose. Review it from different angles and put various questions. Thus, you’ll understand what you should write in your paper. It’s understood that you should question the main features and properties of the chosen WordPress variations. Ask what makes both options so special. Define their main features and how they can help online users. Give a definition for each resource. Thus, Buntington is an educational platform used by educators. Most educational websites prefer it due to various widgets, simple and user-friendly interface, great graphics and gallery builders, and so on. You should define the slightest details to possess the necessary data that can be used in your project. In the meanwhile, you should mention that this option is used by other websites with quite different purposes and intentions. For example, a business resource may use it to create a clear interface and beautiful buttons and icons. The second option is called Author. It is created for writers – bloggers or novelists. It has a practical sidebar and smart interface. The platform allows using various widgets to add the personality of any website. It is responsive and can be used on modern smartphones. Some essay writing services tend to use it too because it helps to create a beautiful outlook with plain menus and instructions. It adds elegance and sophisticates an online website. After you gather the necessary data, you should refine it. Be selective and decide which facts should be mentioned in your research. Provide things in common for both variants. These are widgets, colors, functionality, great speed and so on. Mention that they can be used by merely all website owners who sell different products and services. Don’t forget to mention the differences. You should provide compare and contrast. Depending on your notes, you will build a plain strategy of writing. 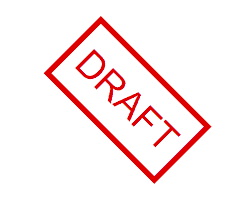 Craft an outline, which includes the main writing stages, as well as post-writing measures. Assume the time necessary to accomplish every part and stick to your schedule. It’s important to begin with drafting. Don’t try to write a final version at once. You’ll definitely make some mistakes, which will rid you off essential grades. Take some time and write at least two drafts. After you finish the first one, reread it and see how many errors were allowed. Fix them and improve some weak points in the second version. Repeat our instructions with the second draft and compose the final version. Revision is utterly important. It helps to spot some weak or inappropriate parts in your project. Of course, you’ll be able to detect some grammar, spelling, punctuation and stylistic mistakes. Reread your work several times to be sure that you haven’t missed a single drawback. Know the limits and rules. Find out all the official demands to your project and follow the main guidelines. Never exceed the recommended length, don’t violate the deadlines, stick to the assigned writing style, etc. Avoid clichés. You are supposed to write something fresh and uncommon. Accordingly, you cannot repeat other authors (unless you make a direct quotation) and should use an original style. Don’t use unfamiliar terms. Your writing must be readable and easy to understand. Make it simple and clear. Avoid the use of complex or unpopular words and terms. Don’t confuse your readers. Follow these guidelines and you’ll easily compose a great research paper on WordPress.